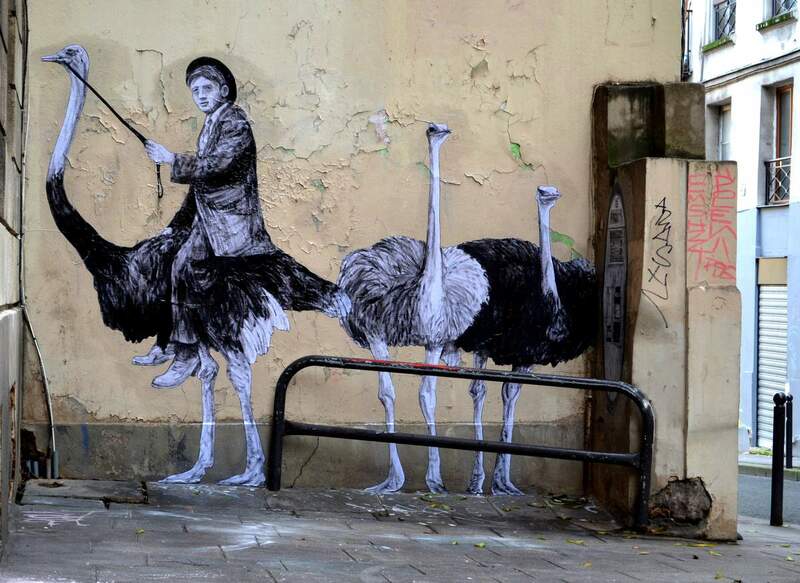 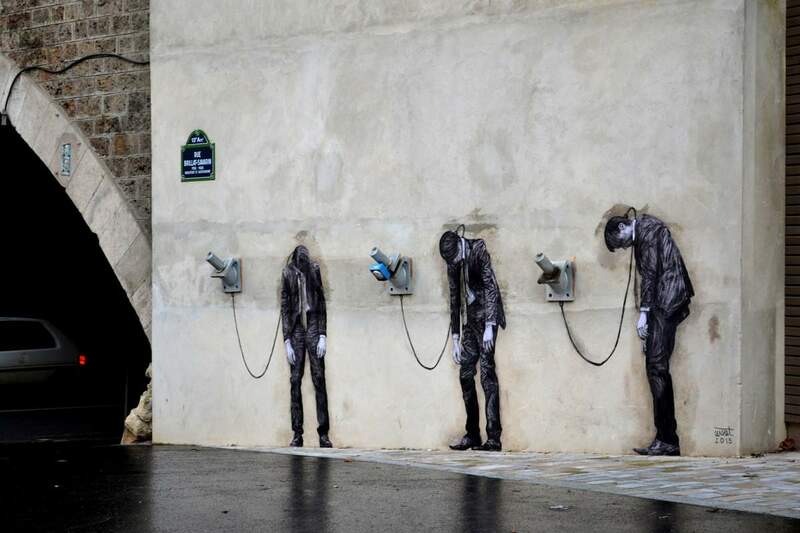 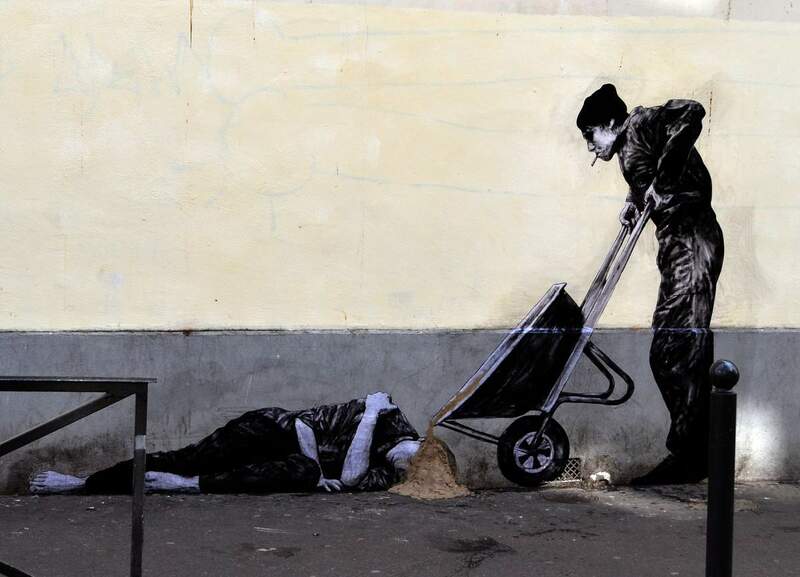 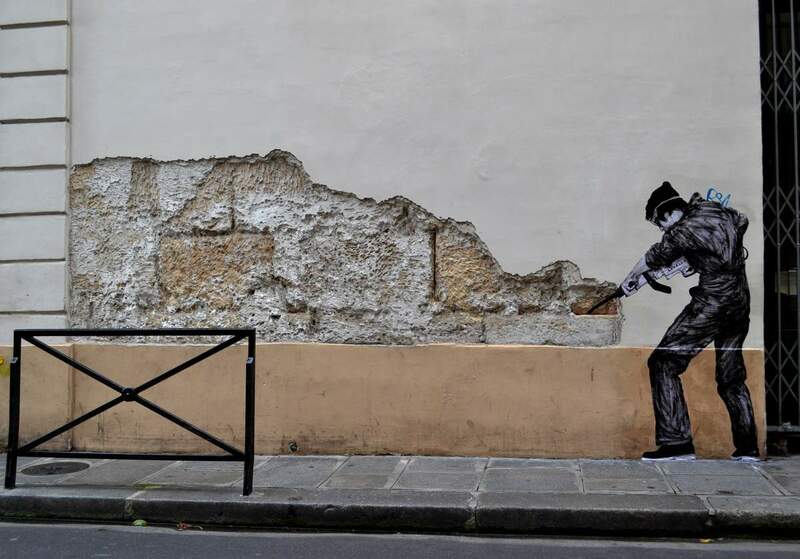 French artist Charles Leval aka Levalet injects humor into the streets of Paris. 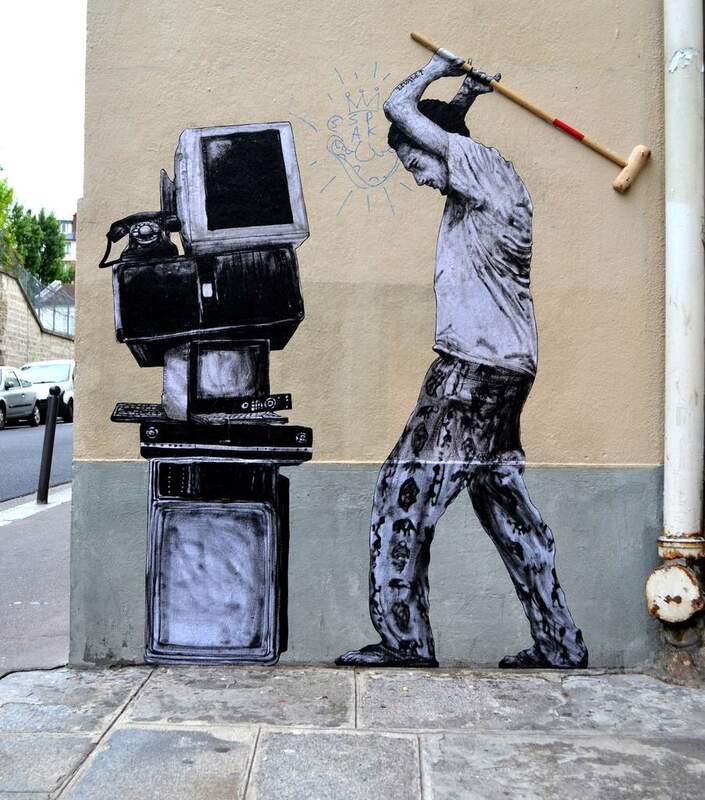 He creates life-sized posters of people that seem to be interacting with the surrounding neighborhood, some playful and others more mischievous. 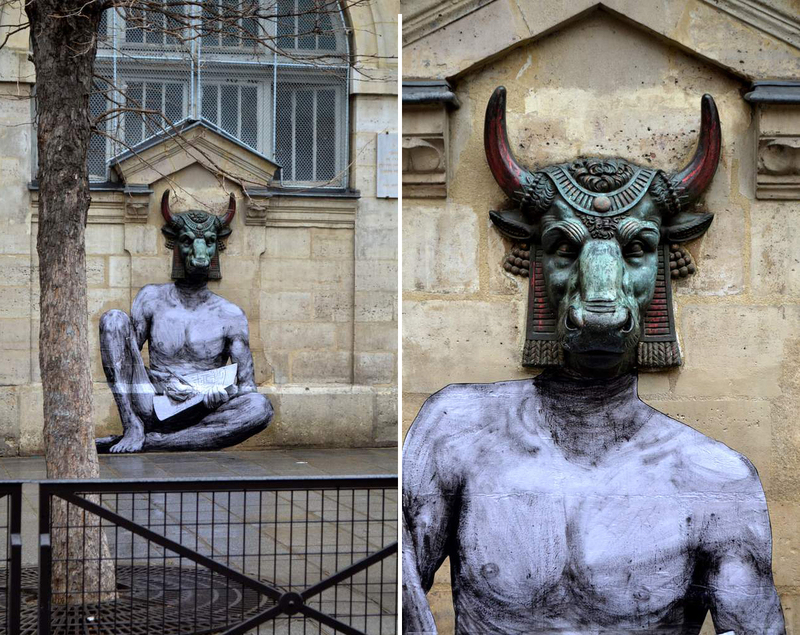 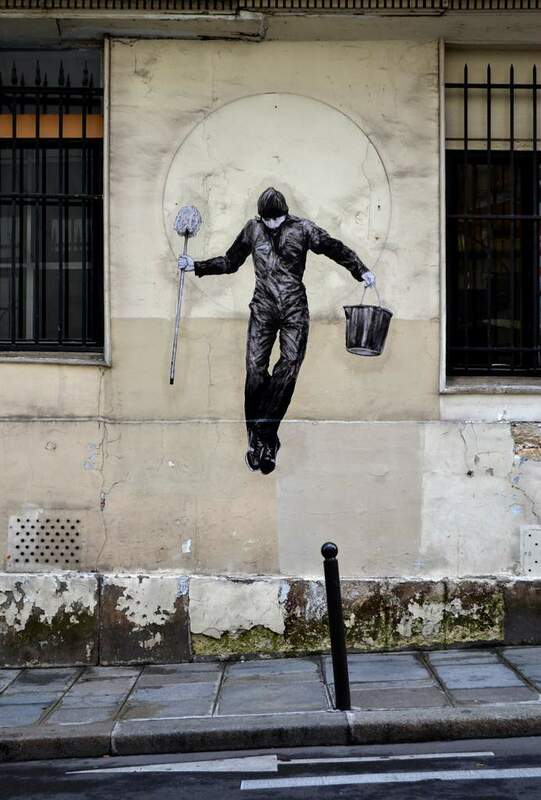 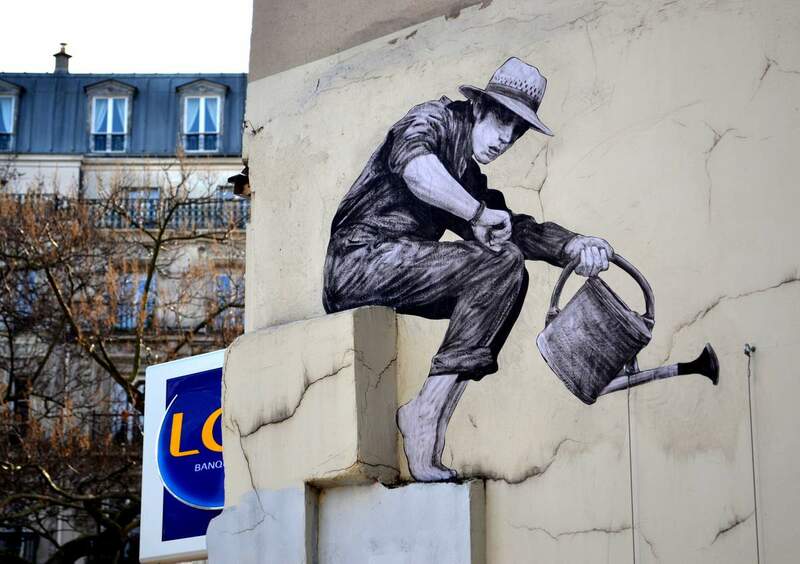 To find the perfect spots for his works, Levalet wanders around Paris taking measurements. 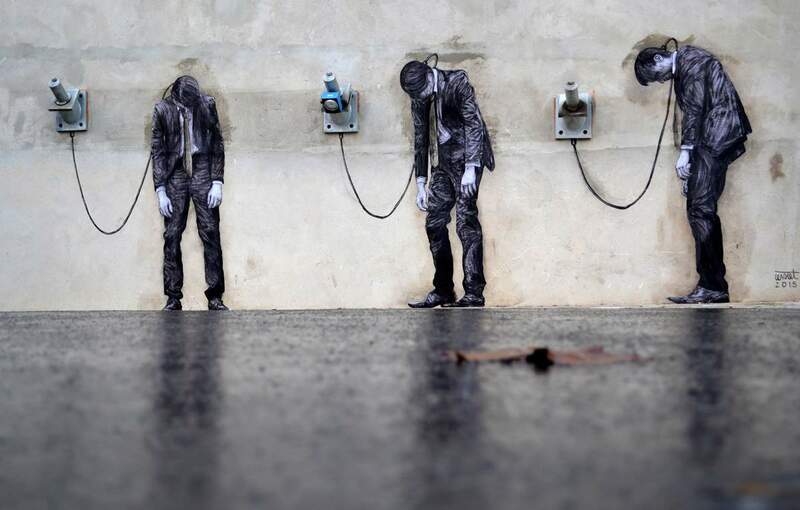 He then draw his figures in black ink and inserts them around the city. 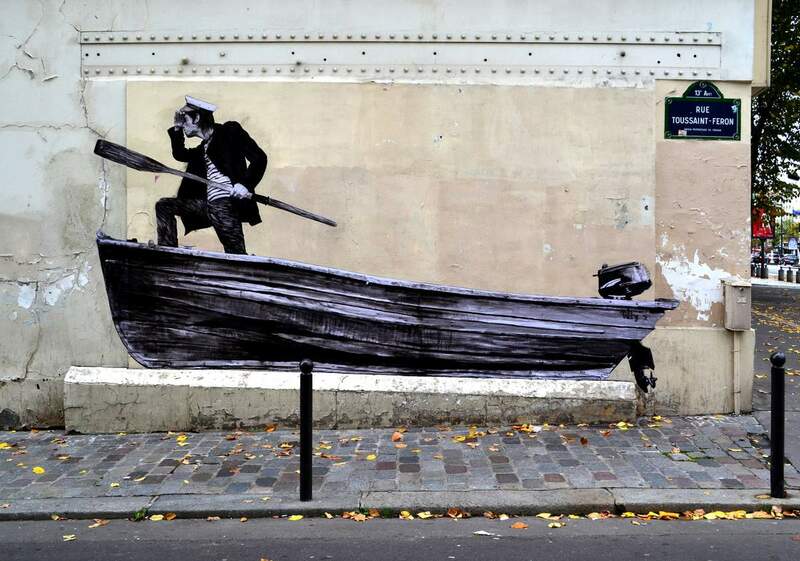 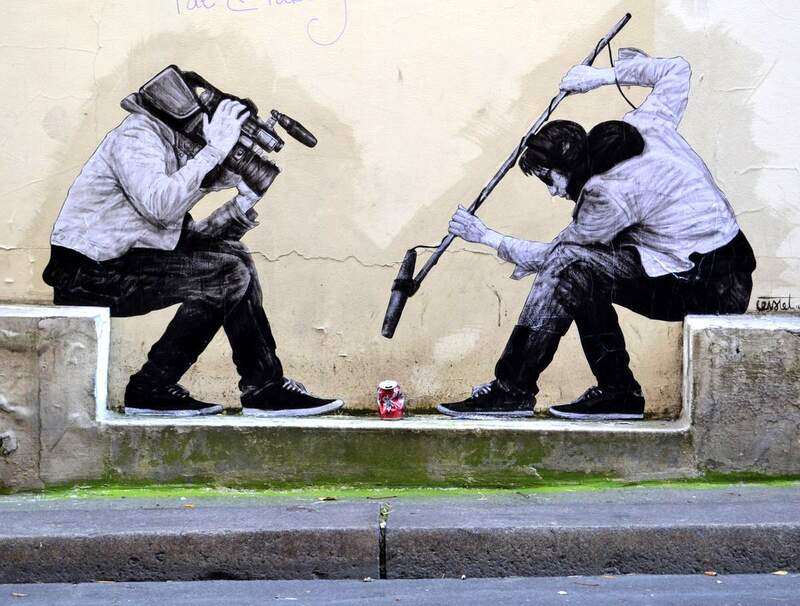 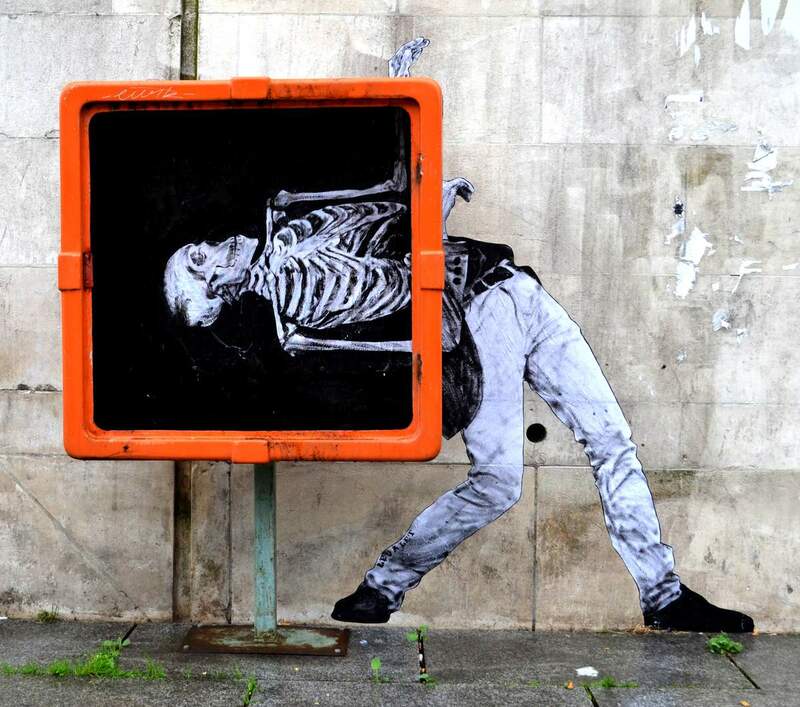 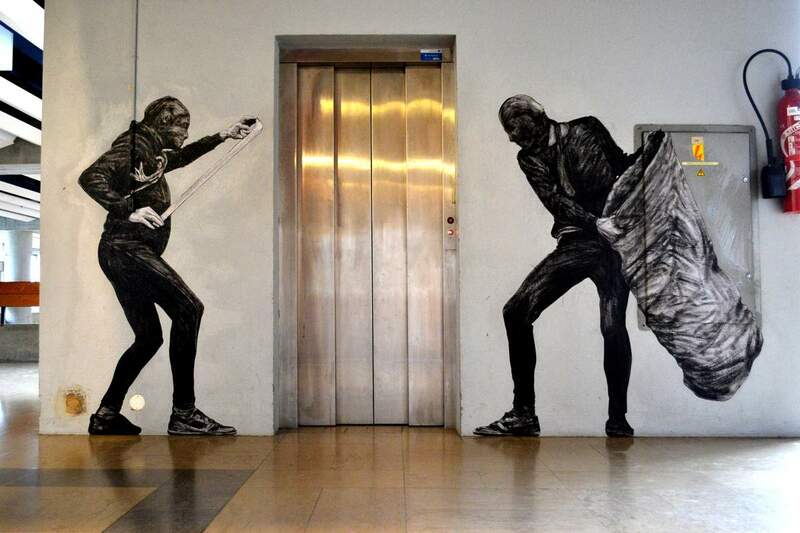 Next time when you visit Paris be more attentive and you will surely notice Levalet’s playful street art!